The Paw Print is a student run newspaper from Adams State University. Feel free to see what else Adams State has to offer by visiting their homepage. 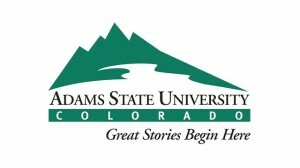 Visit http://www.adams.edu for more about the college. hello Thank you for this writing. Good blog! I really love how it is easy on my eyes and the data are well written. I, like AJ, am curious about advertising… Any word on that? Thank you for this writing. Neat Post I want to make a memorable paw print of my dog. I want it to be flat- like on a piece of paper. What do you suggest? paint…chalk…?? I know what you mean, Im thinking of getting a small paw print on py chest. Do you think it would look good or should I think of another design? Do you provide ad space in your print? In regards to both you and AJ, I have notified our Advertisement Manager. His email is bolivarln@grizzlies.adams.edu if you would like to get in touch with him. Thank you for your interest! do you have classified ads in the paw print, if so how much are they? Leave a Reply to Anonymous Click here to cancel reply.